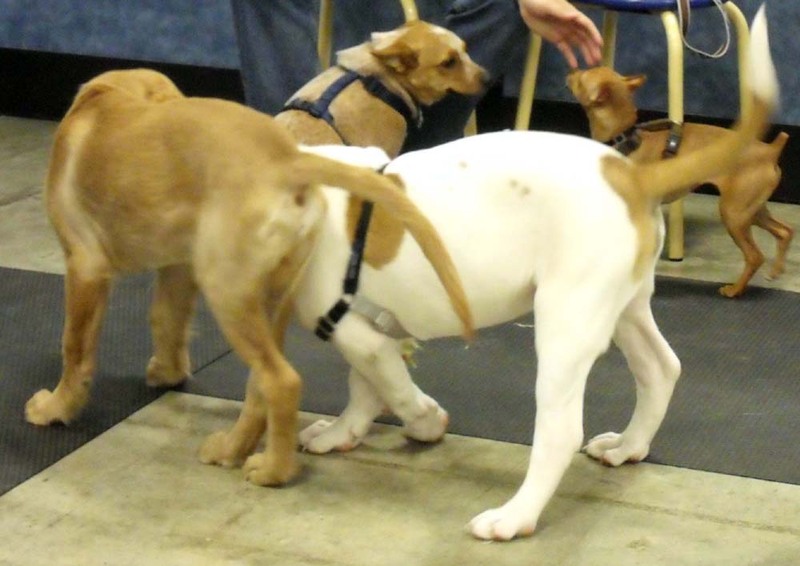 After six straight weeks of peeing on the floor of the PetSmart training area, Suki was set to graduate from puppy school, Saturday afternoon. All she had to do was pass her finals, which she did with flying colors. Fortunately, they didn't hold the peeing against her and she was awarded a diploma. She will do graduate work in staying for long periods of time while her owners wander off around the store. After photos, the pups said goodbye to each other in a nipping, snarling ball of confusion and went their separate ways. Suki will miss Charlie the golden lab, Nacho the American bulldog, and Max the miniature doberman, but maybe she will see them again at the dog park in Xenia. Who knows what life has in store for them or when their paths might cross again?